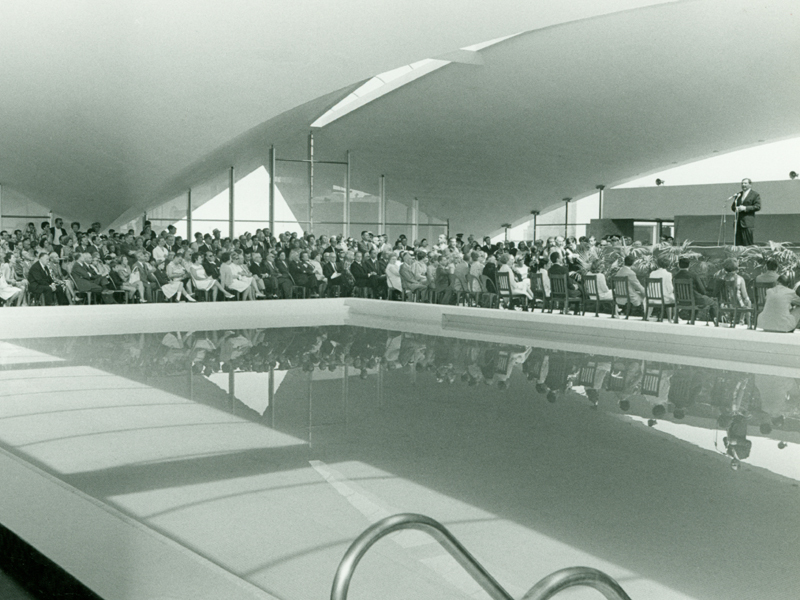 One of the first French projects of the architect Roger Taillibert is the Deauville swimming pool. 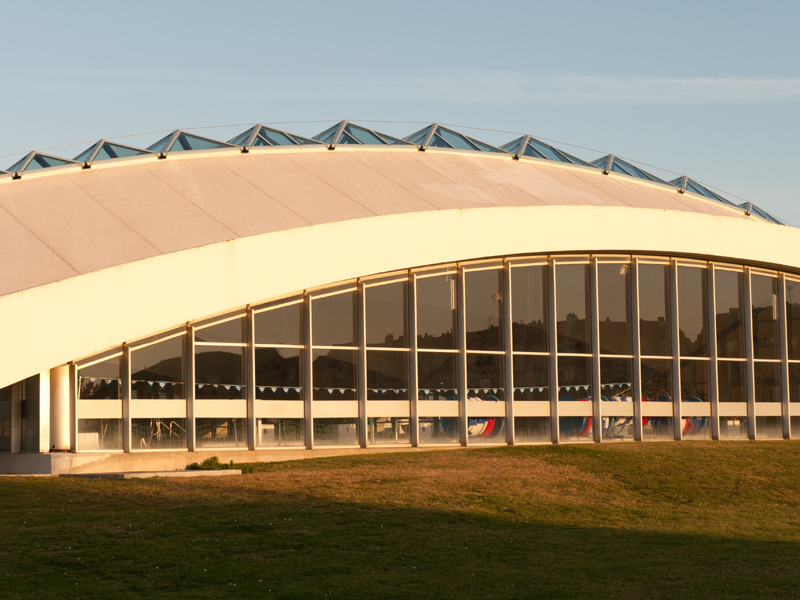 This project is for him the first of a series of sport equipment creations, including the Parc des princes stadium in Paris (1967 -1972) and the Olympic complex of Montréal (1972 -1976). It is also his diploma subject at the ENSBA, the distinguished French National School of Fine Art. He designed his works in his own audacious manner, completely different from the Normand style, which was very popular on the Côte Fleurie at the time, and implemented a system consisting of large-scale thin shells, launched at the beginning of the 1960s and becoming his specialty technique. 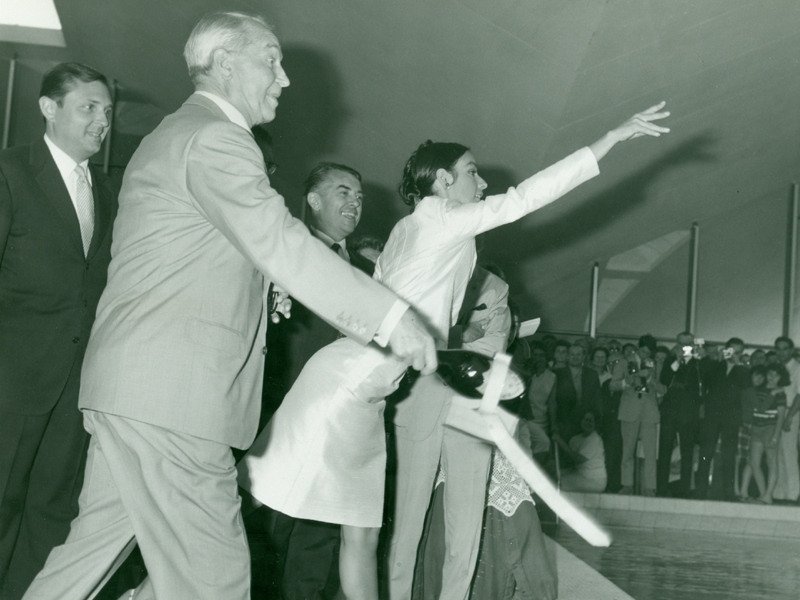 The sea water swimming pool was inaugurated in July 1966 by Maurice Chevalier, Marie Laforêt, Françoise Missoffe, the Minister for Sport of that time, and Alain Gotvalles, 100-metres crawl French champion.